Thank you Nestlé® Drumstick® for sponsoring this post. Visit your local retailer to pick up your own box of the NEW Nestlé® Drumstick® S’mores to get summer started today! Time seems to fly by doesn't it? I know that summer hasn't technically started but I'm already anxiously anticipating it and before it seems to start it's over in a flash. There are just not enough long summer days between the end of school and the beginning of it and every year I promise to soak as much of it in as I can. Every summer though it's inevitable that when we are in it's final days, one kid or another says, but we didn't do this or we didn't do that. 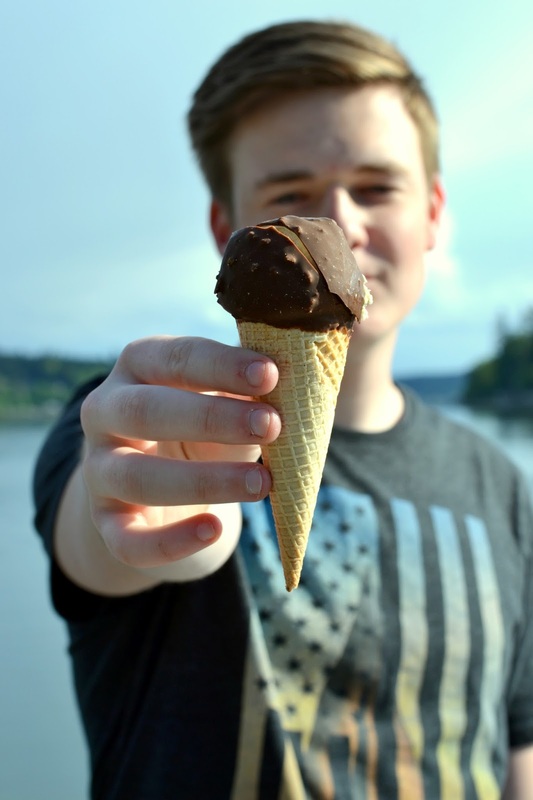 The days may be longer buy my memory is shorter, so I created a free printable summer bucket list that you can sit down with your kids and fill out before summer even starts. Your list will help you plan out your days so that you can make time for everything on your summer bucket list. The older I get the more I appreciate lists. Lists help me keep everything straight. I have a lot of people who live here and they all expect me to remember everything that they say to me and for Pete's sake, everything I say to them! So I've created a summer bucket list. I filled mine in and printed it up and thought that it might be super helpful, so I decided to offer up a free blank summer bucket list printable for you too. 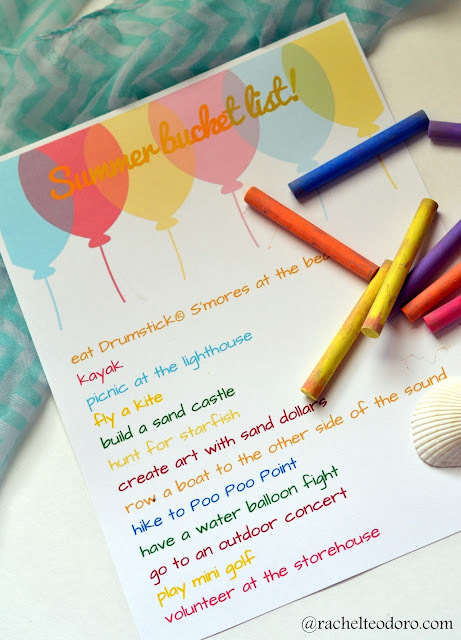 Get your free blank Summer Bucket List printable here. We already got the first item crossed off the list because here in the Pacific Northwest if it's not raining and the sun is out then we consider it a win. We soak up the sun whenever it peeks out from behind the clouds. 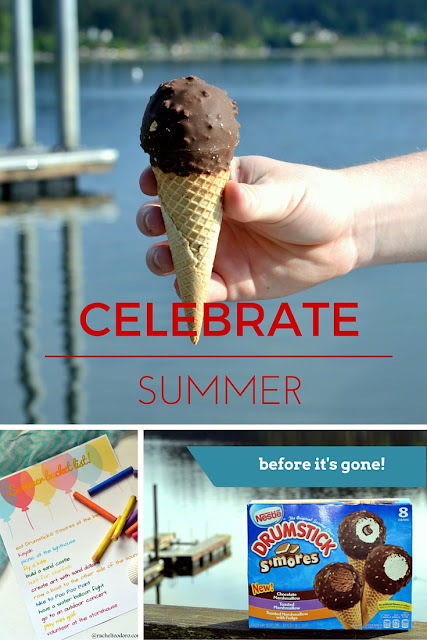 With the new Nestle® Drumstick® Smore's we can celebrate summer any day! Our favorite new Drumstick® flavor? Toasted Marshmallow with Fudge. Don't let this summer pass you by! What's on your summer bucket list? Things Are Going To Be Changing Around Here!